Executives from companies like Monsanto go through a revolving door with the FDA and EPA which are supposed to be regulating them. The result: they get exactly the regulation that’s most convenient to industry profits—so much so, that the industry is effectively left to regulate itself. 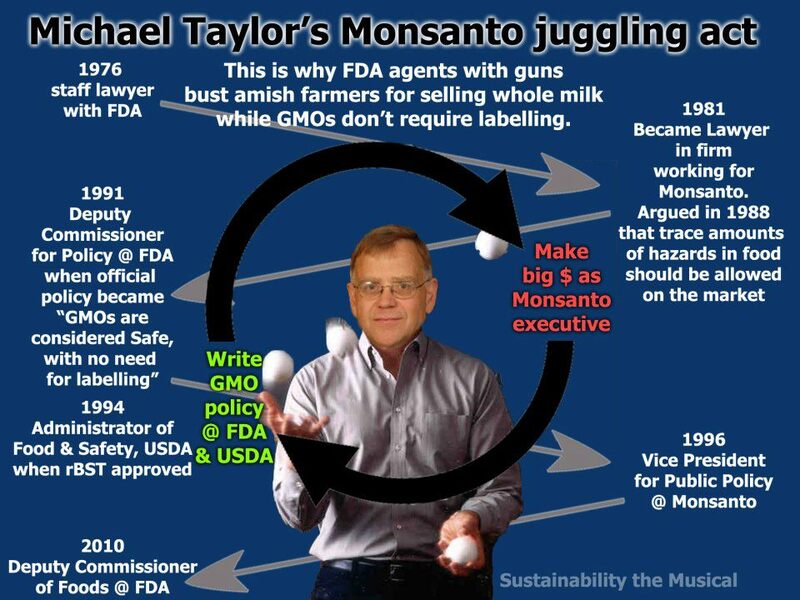 This entry was posted in Aside and tagged Food and Drug Administration, Monsanto by Michael Kinnaird. Bookmark the permalink.